Penelope Spaulding works hard at her family's pizza restaurant in New Hampshire, especially with her father trying to get ready for a reality show. 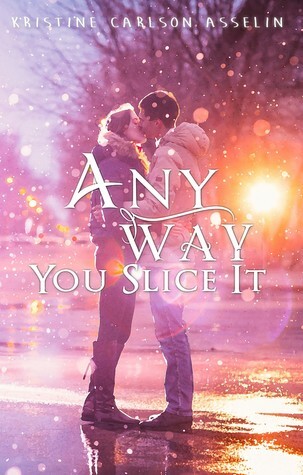 Her real passion, though, is playing hockey, and when Jake, who kind of irritates her, dares her to join the local misfit hockey team, she lies to her parents and starts playing. Her grandmother tries to stick up with her, but her father has very deep rooted feelings about her not playing. It's hard to hide things from her folks, especially when she and Jake become closer. Strengths: This is a great young adult book that is suitable for middle grade readers. Tweens love a good romance, but don't need too many... details. I loved that Penelope generally gets along with her family, but they disagree on this one issue. The grandmother is delightful, and the father is very sweet. The reality show is a bit of added fun. Penelope's passion for hockey is what really makes this book sparkle, and the fact that it helps her find a romance if perfect. The best part of the book is when Penelope has a crowd of young girls who all clearly adore her after they watch her play in a game. Girl power! Weaknesses: The cover should have more to do with hockey. Or pizza. What I really think: Great book for girls who love sports. This was originally published as an e book, so I was very glad to see it in print!